assist you to accept responsibility for your own actions and reactions, behaviours and language, which maybe something very new to you. promote you both as a models of relationships for your children. Relationships are one of the most rewarding and exciting aspects of our day to day lives. Experiencing companionship, love, belonging, trust and comfort in another presence and reciprocating these feelings to another in return is essential for our physical and mental health. Relationships contribute greatly to that much longed for search for peace. assist by promoting practical skills to help you have a home of hope, connection and happiness. Yet most of us would also have experienced the cost of love and trust when a close relationship breaks down or ends suddenly. Following the end of a close relationship, feelings of anguish, turmoil, emptiness and a sense of disconnection can very quickly consume our whole being with that sense of peace absolutely shattered. For some of us, a brief reflection on past relationships reveals a cycle whereby the end of relationships are quickly followed by the establishment of new relationships that, although seeming to flourish initially, all too often end in similar and unsatisfactory circumstances. Are you at near break-up point and would like support in giving the relationship another shot? Or would you like more fun and enjoyment in your relationship? 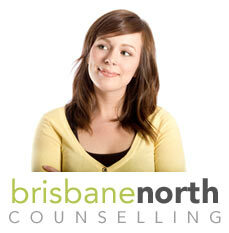 Relationship or marriage counselling at Brisbane North Counselling can be an opportunity to talk openly about your relationships in a confidential and friendly space. It can help you discover the rewards of real love and the little things that make it last.